I looked through shots I'd taken since last week's sky watch after work and was surprised that the only day I had taken any photographs at all was on an overcast Sunday walk. Thanks to daylight savings time, I had enough daylight left to takes some shots before preparing this post. I had intended to go outside and take one shot specifically for this post. I ended up taking 75 photographs in my yard and in the street capturing some of my neighbor's trees. All of the trees in this post are mine except for the second one of my next door neighbor's Japanese Magnolia. 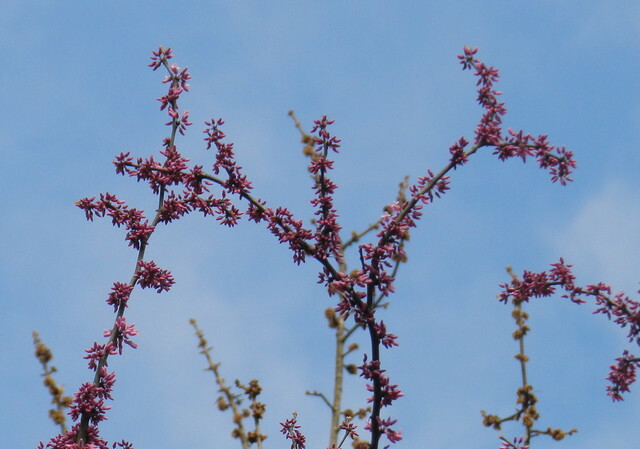 The last two shots are of my redbud trees which I love this time of the year. Click for the home of sky watch Friday. Blue skies make me feel happy like the bluebird of happiness. Blue skies...smiling at me! That's a line from an old song. 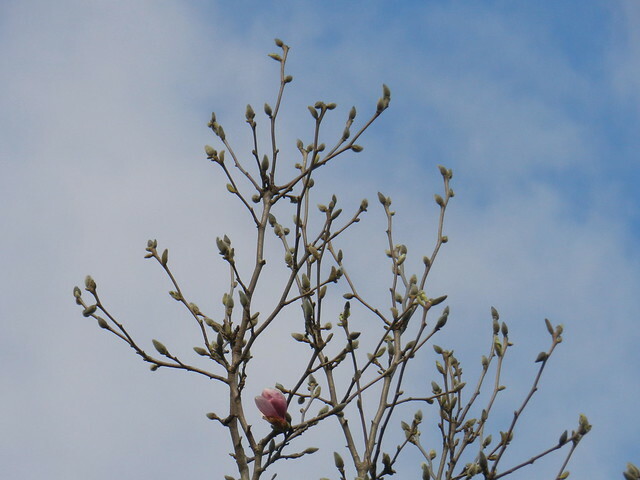 Your magnolia is about to bloom. Happy Spring. Oh wow - so gorgeous! Love those blossoms. OH so lovely; Hooray for Spring. I can see the buds coming along further from your last post to this one. Oh, yes! I love the Red Bud trees!! Beautiful captures of Spring at its best, Carver! Have a lovely weekend!! Lovely to see your trees bursting back into life while our autumn is so dry that we have no blade of grass, just winter temperatures. It has been a flip from a super hot summer straight into winter. 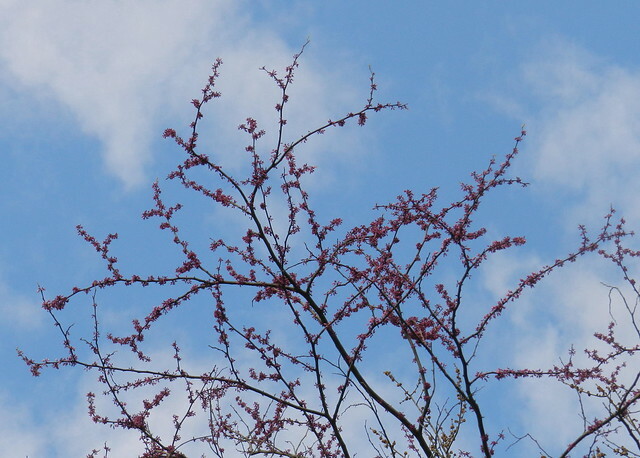 Great skies and there is no tree prettier than a redbud this time of year. Great series. 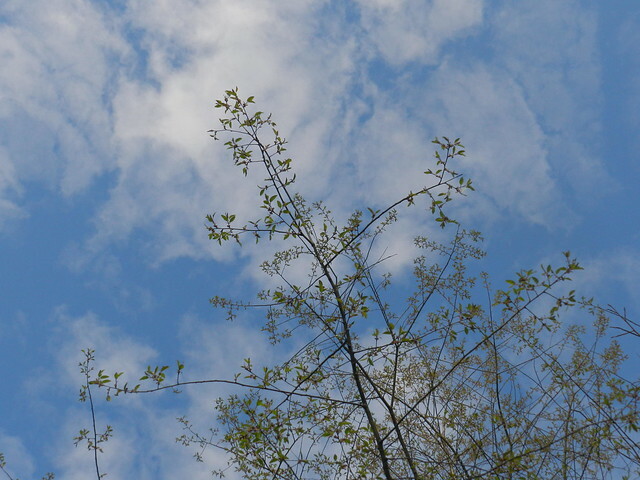 Wonderful blue sky.